Where you able to hit the WnW Rite Aid promo not too long ago? I was!! I went crazy trying to get me more clear base for jellies! And I of course could not resist and picked up a couple of more shades since they were BOGO. This one really caught my eye bc the bottom was way lighter than the top, yes typically a sign of “don’t buy this polish” but I’m weird and I really liked the “ombre” effect and since it was free I said “why not?” and got it! I love it!! Not the best durability but I love the wide brushes on this line and I really felt like doing something simple and pretty. 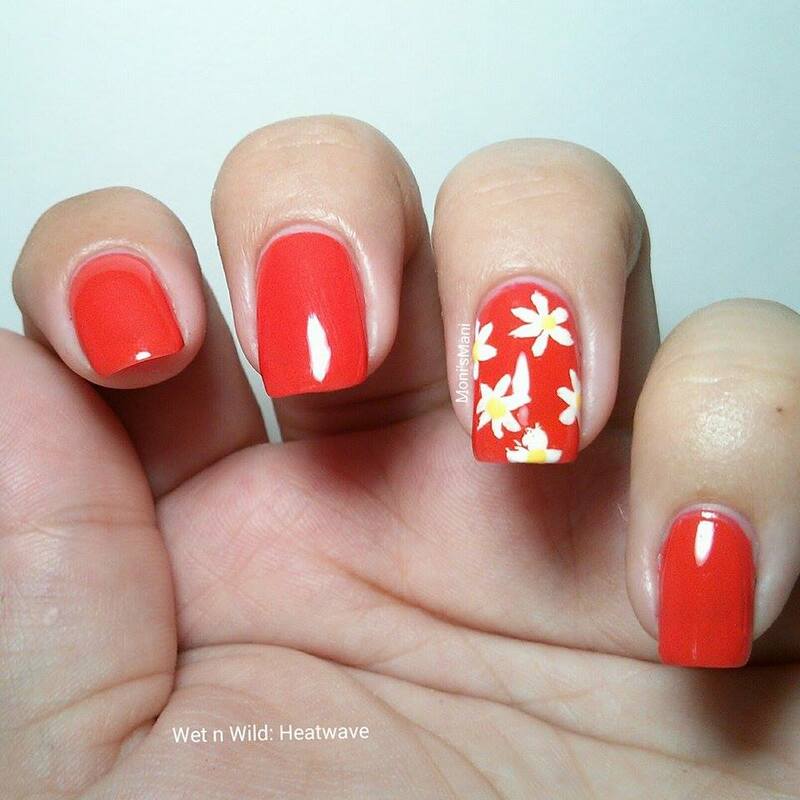 How do you nail art daisies? quite easy actually.. just get a striper and gently press the tip down on your nail and that’s a petal, go around and finish off with a dot in the center and you’re done! Easy as pie! Here are more pics! hope you like it!! !